I got the Slave-1 ship for the X-Wing Miniatures Game. This belongs to Boba Fett the bounty hunter. It is one of the large ships in the game and seems much too big to me. I think it is because I always thought the window was about the size of a car windscreen and it would be Fett’s head and shoulders behind it. If I had paid more attention during the second film, I would have remembered seeing Fett float the frozen Han Solo up a ramp at the back which showed the scale properly. These miniatures are supposedly 270th scale based on original models and designs from the films, so it really must be this large compared to the X-Wings, etc. Posted in Blog Posts and tagged Expansion, Unboxing, X-Wing Miniatures Game on October 1, 2015 by Tim. Bases and Pegs. Peggy Peg Pegs. Want more games stuff to spend your money on? How about coloured bases and pegs for your X-Wing ships? Posted in Blog Posts and tagged X-Wing Miniatures Game on September 19, 2015 by Tim. Force Friday was a couple of weeks ago. Loads of game and toy companies announced their new Star Wars ranges, including Fantasy Flight Games who launched their new The Force Awakens core set for the X-Wing miniatures game. I ordered one immediately and it arrived today, two weeks later. 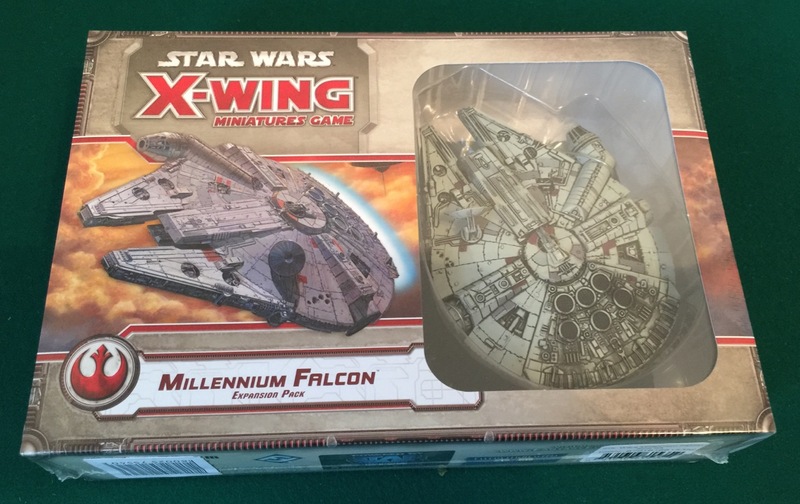 Posted in Blog Posts and tagged Expansion, Unboxing, X-Wing Miniatures Game on September 18, 2015 by Tim. If you drive from Los Angeles to Las Vegas through the Mojave Desert you will pass a signpost for Zzyzx Road. This is a made-up place only officially recognised in the 1980’s. The original land-developer wanted a name that would be at the end of the alphabet. I bet he was fun at parties. On the other hand, a Syzygy is a real thing. It sounds like a part of the brain or a rare grammatical construct, but it is in fact the astronomical term for when the sun and moon and/or planets align. As you may expect, moons and planets align a lot more often than stars, but don’t panic. Big C only wakes when the stars are right. Nevertheless, bad stuff still happens when planets line up and this is what the plucky investigators must tackle in Strange Remnants, the new small-box expansion for Eldritch Horror. Posted in Blog Posts and tagged Eldritch Horror, Expansion, Unboxing on September 5, 2015 by Tim. We set up both boards for the Rise of the Elder Things ancient one in Eldritch Horror. The game took almost 5 hours, with a few breaks, and used up a phenomenal amount of brain power. We won. We had to solve four mysteries before time ran out and the doom track went down to 7, which was only two or three bad turns way from the ancient one awakening. The game never felt like it was getting away from us, but it did seem very hard to make progress. It was about two hours before we managed to get even the first mystery solved. Posted in Blog Posts and tagged Eldritch Horror, session report on September 3, 2015 by Tim. ‘At the Mountains of Madness’ is one of my favourite short stories and that is why I really like the film Prometheus. They have the same plot, which I won’t go into because of spoilers. Here we have Mountains of Madness, the first big-box expansion to Eldritch Horror, which brings the frozen wastes of Antarctica to the globe-trotting adventure game. Posted in Blog Posts and tagged Eldritch Horror, Expansion, Unboxing on September 2, 2015 by Tim. Now I have a bunch more ships, I thought I’d have a go at building a pair of proper 100 point squads. This turned out to be more fiddly than I expected. Posted in Blog Posts and tagged X-Wing Miniatures Game on June 18, 2015 by Tim. I opened up my Millennium Falcon. This is one of the large-sized ships in the X-Wing Miniatures Game. It comes in its own big box along with the usual mass of bits. Posted in Blog Posts and tagged Expansion, Unboxing, X-Wing Miniatures Game on June 10, 2015 by Tim. After playing a few games with just the Core Set X-Wing and Tie Fighters, I opened the other small expansion ships. These were the additional X-Wing, the Tie Interceptor, and the TIE Advanced fighter. Posted in Blog Posts and tagged Expansion, Unboxing, X-Wing Miniatures Game on June 7, 2015 by Tim. I have decided it is now time to start getting excited about the new Star Wars film and a return to the world of the original trilogy. Hence I spent some time in a Barnes & Noble buying a bunch of sets for the X-Wing Miniatures Game. I got a Core Set, an additional X-Wing, a TIE Interceptor and a TIE Advanced. Posted in Blog Posts and tagged Unboxing, X-Wing Miniatures Game on June 5, 2015 by Tim.